Herban Planet, LLC Aug 29, 2017 Whether you plan to spend all weekend taking bong rips or just smoking a bowl or two after your shifts, enjoy the spirit of Labor Day weekend with a little (or a lot) of herb. Remove some work from the process with these great, time-saving gadgets. Labor Day is just around the corner, and, these days, the holiday means something different to every American. To increasing numbers of us, from medical professionals to retail associates, September 4th will be a workday just like any other, while to many parents, it’s a chance to get that last minute back to school shopping squeezed in. To others, it will mark the last fun family get together of the summer, while plenty of college freshmen will spend the day hungover from a weekend of partying. And of course, some of us will just sleep in until noon. But what do many of us have in common when it comes to labor day weekend (sorry medical professionals, this doesn’t apply to you)? Something about the end of summer inspires us to get baked out of our skulls. Labor Day is the top-selling weekend for cannabis in the United States. So whether you plan to spend all weekend taking bong rips or just smoking a bowl or two after your work shift, enjoy the meaning of Labor Day weekend with a little (or a lot) of herb. And, in further spirit of Labor Day, remove some effort from the process. The following gadgets will take the work out of preparing your weed, leaving you more time to consume it however you choose to. The Cone Roller - Are you wasting money on pre-rolls because you just can’t be bothered rolling your own? 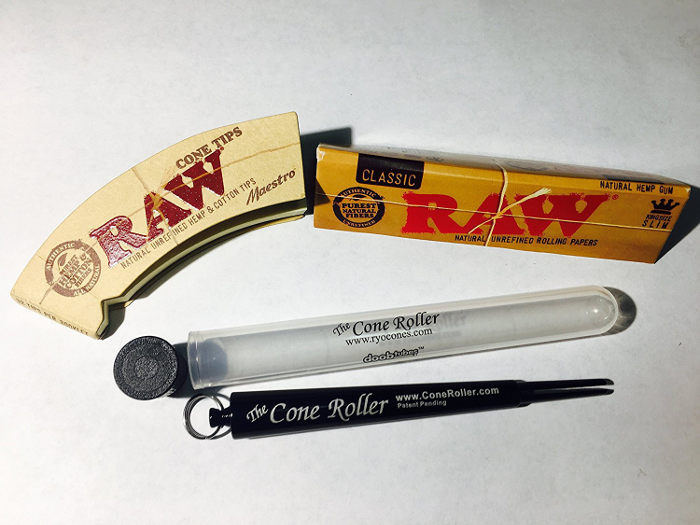 We’ll never all be master rollers, and the people behind The Cone Roller are here for those of us who need or prefer a little assistance for nicely-rolled, evenly-burning cones each time. At $14.95, the device is simple to use, makes a great gift, and will pay for itself in just a few cones. You’ll be impressing your smoking buddies with beautiful cones in no time. Kindtray - Kindtrays are exquisitely-crafted trays that allow you to store and prepare your stash and accessories in a neat, organized, compact and secure fashion. Each tray is crafted in the United States with all natural materials. 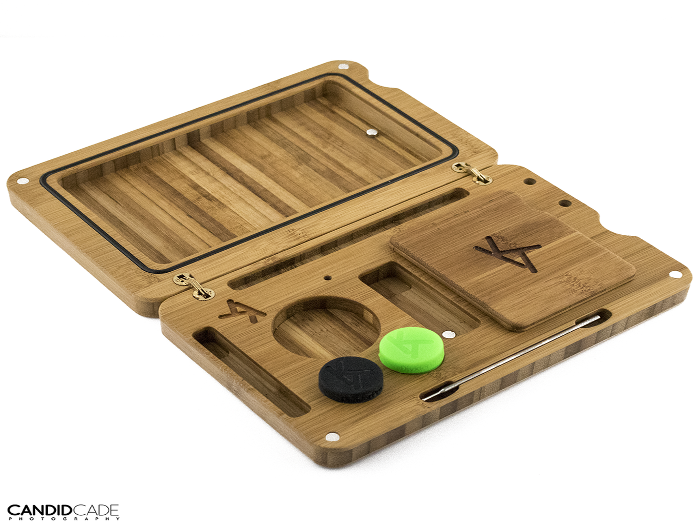 Kindtrays are unique and are available for both table and travel use, and will save you the frustration of wasting time digging around for your rolling papers or poker. Keep everything in one sleek, clean place and streamline your smoking experience. Prices vary with joint trays starting at $17.99. The Mota Pot - If you prefer edibles to smoking, consider investing in a Mota Pot. 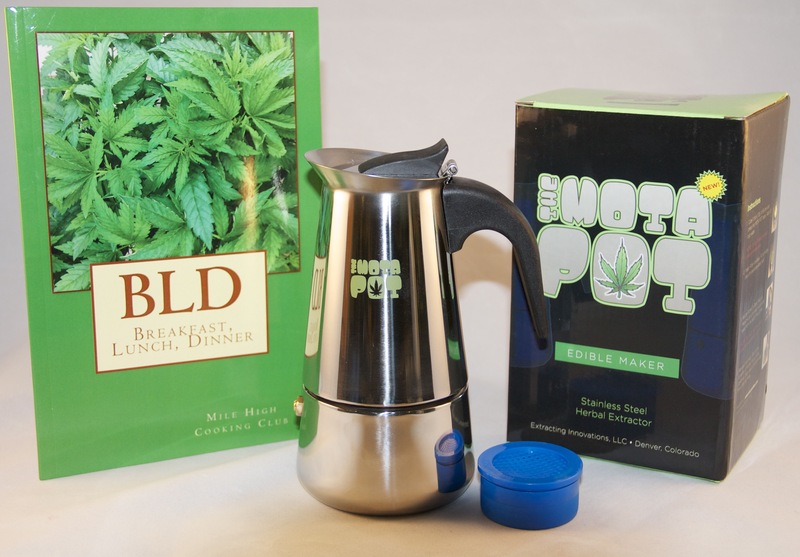 The pot will churn out potent cannabutter in just 10 minutes, all you need to do is decarboxylate your cannabis first. After that, add just add the cannabutter, plus one egg, to any of Mota’s Cannibles Baking Mixes, and pop in the oven for 12 delicious edibles in less than a quarter of the time it would have taken you to do it all from scratch. The Mota Pot culinary set is $55.00 and baking mixes run $27.00 apiece. Of course no other one day can touch 4/20 when it comes to cannabis sales, but when it comes to the course of a whole weekend, Labor Day takes the cake. Perhaps this is because people are less likely to have family traditions on Labor Day than, say, Thanksgiving, or because they view it as a last hurrah before buckling down until the fall and winter holidays. But whatever the reason, there’s one thing we know for sure: smart stoners are stocking up early for their weekend festivities, and using the best new accessories to save themselves wasted rolling papers, disorganization, and time. So don’t miss out on your favorite flower, concentrates or treats. Head to your local dispensary now, avoid the weekend crowds, and spring for that ounce. They’re probably even holding a Labor Day sale that will save you in the long run.